All lounges include free hot food, free drinks (some premium food and drinks carries an extra charge), free newspapers and magazines and free wi-fi. A new second site at Birmingham opened this week as we covered here. This offer must be booked by midnight on 9th December, for lounge visits up to 31st December. You must book via this special page of the No 1 site and use code MSEGIFT2019 at check-out. However, you might get a better deal by using code NO1GIFT on the standard No 1 Lounges booking page here. You need to test it out lounge by lounge. Norwegian has announced two changes to its US network which indicate a change of strategy. Older readers will remember that, when Ryanair launched, it focused on flying to random airports in the middle of nowhere. Hamburg flights went to Lubeck, for example. The majority of these routes have been dropped because business passengers refused to fly them and even most tourists eventually wised up to the downsides of a long and pricey bus ride from the airport. Norwegian has had the same revelation. 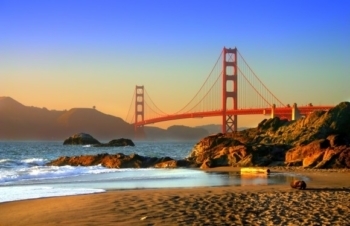 From 31st March, flights from London Gatwick to Oakland will switch to San Francisco. Flights from Gatwick to Fort Lauderdale will switch to Miami. The airline is citing cargo demand as one reason for the switch. Even if passengers are willing to take the train from Oakland to San Francisco, cargo needs to delivered directly to the handling agent. British Airways has already dropped its ‘spoiler’ service from Gatwick to Oakland. It remains to be seen if the plug will now be pulled on Gatwick to Fort Lauderdale as well. 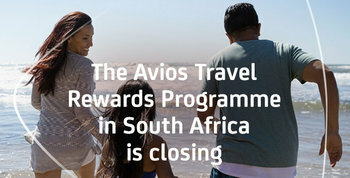 Avios Group has announced that its South African programme is closing on 31st May 2019. As with the closure of Avios Travel Rewards Programme in the UK, members are being encouraged to open a British Airways Executive Club account and transfer their balance. Members will also be able to transfer points to Kulula, the South African low cost carrier, and use them for a discount on a future flight. This appears to be a messier process than the closure of the UK scheme. Whilst the UK scheme was almost a straight transfer to BAEC with few partner losses, South African residents are losing virtually all of their collection opportunities. Partnerships including BP South Africa and the Pick n Pay supermarket chain, as well as the Avios credit card in SA, are being wound down. It isn’t clear if there will still be any way of collecting Avios via Kulula flights in South Africa after 31st May. You can find out more details on the Avios South Africa site here. It’s my first time in Chicago. Not sure he’s complaining …. OT – Rob – has H4P heard of any plans for the newly revised Amex Gold / Rose Gold to come over to the UK? The new revamped cost / rewards look quite decent, especially for those that already carry a Plat for lounge access etc. No, and I am not convonced it will happen. We never got a metal Plat card, monthly Plat Uber credit etc.